Beautiful remolded raised ranch. Bright kitchen with new cabinets and granite counters. Huge vaulted great rm with stone fireplace. Durable hardwood style laminate flooring through out the main level. Master with a custom walk-in closet. All bedroom closets have custom shelving. Finished terrace level with rec area/ media rm. Laundry rm with barn door entry. Deep bays in the garage, could hold 3 cars. Deck w/ bench seating, and patio w/ fire pit. 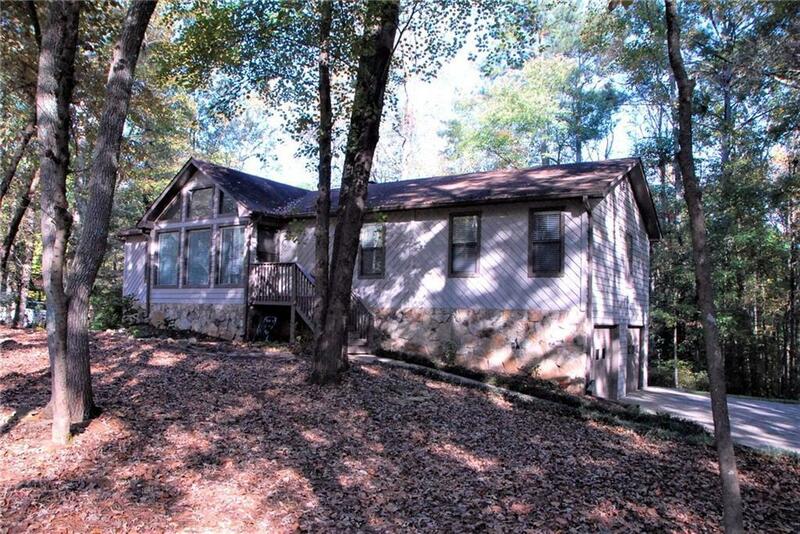 Large level wooded lot and private backyard. Low Cherokee taxes and great schools.